Flat Bonnie continues her adorable new line of Baby Star Wars Plush with a New York Comic Con 2018 exclusive inspired by the Jawas! 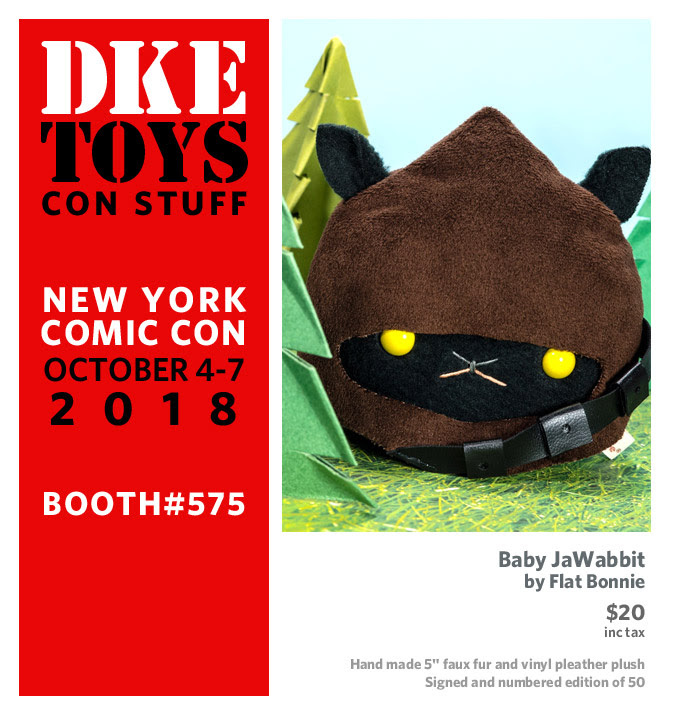 For this release, Flat Bonnie has teamed up with DKE Toys to release the super cute New York Comic Con 2018 Exclusive Baby JaWabbit Plush. Each Star Wars inspired plush measures about 5” in diameter, is made from vinyl pleather and fleece, and includes a signed and numbered hangtag. Limited to 50 pieces, fans can purchase this limited edition release at the DKE Toys booth for just $20.